Born in Lower Canada on 7 December 1837, the son of Lieutenant-Colonel J. G. and Annie Bell Irvine. He was unmarried. 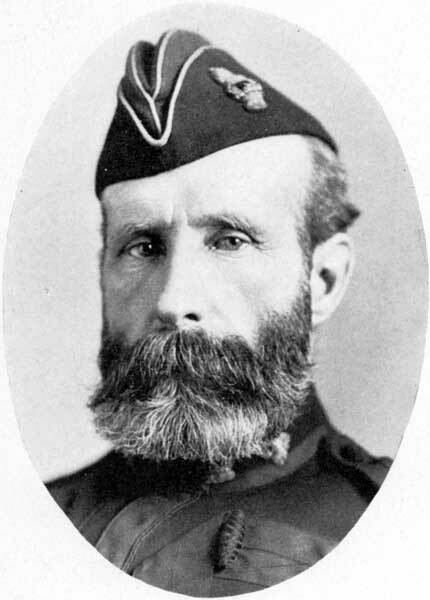 He was gazetted a Lieutenant in the militia in 1864 and later served as Major in the 2nd Battalion of the Quebec Rifles in the Red River Expeditionary Force of 1870. In 1871 he was placed in command of the provisional battalion of Rifles which remained in Manitoba. He retired from the service with the rank of Lieutenant-Colonel in June 1875. On the formation of the North-West Mounted Police in May 1875, he was appointed Assistant Commissioner and became Commissioner in November 1880. He was also in command of the police during the North-West Rebellion of 1885. Irvine retired from the Force in April 1886. In 1892 he was appointed Warden of the Stony Mountain Penitentiary in Manitoba. He was formerly a member of the North-West Council. In 1895 he was elected president of the Red River Expeditionary Association, and in 1902 he was decorated with the Imperial Service Order. He was a member of the Church of England. He died at Quebec City on 9 January 1916.